Saturday morning, same situation as on many days during the year … Iliniza Norte and Sur in the clouds, but the weather forecast is good and in Ecuador … “everything is possible, but nothing is certain” … as we have been told. We start in the village El Chaupi, which is close to Machachi and about 1 hour from Quito. Driving up to the entrance to the Natural Reserve Los Ilinizas and continue to the parking “La Virgen” at 3.950 m. This is the starting point of the tour. Many people do Iliniza Norte in one day. 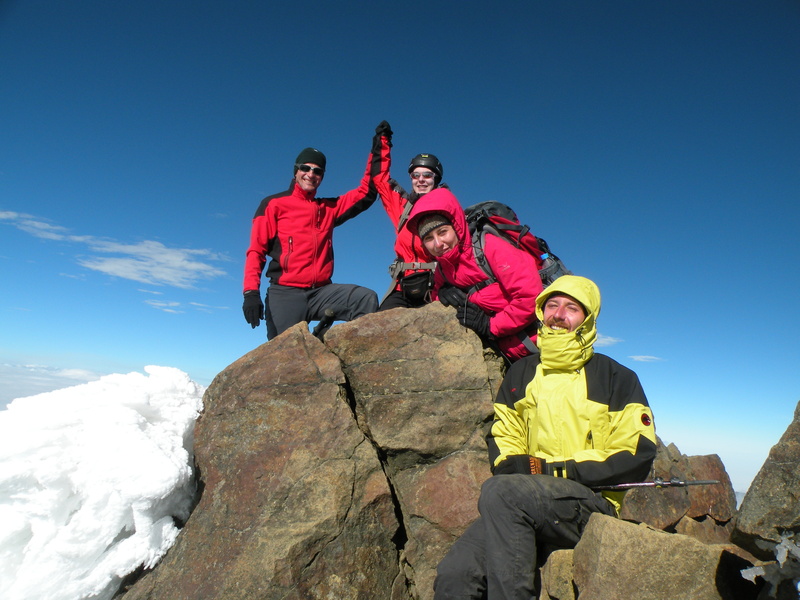 For acclimatization reason, it is also a great 2-day-tour. You are able to sleep in the mountain hut on approximately 4.750 m. Our back bags are a bit heavier, as we have to carry sleeping bag and equipment for 2 days. 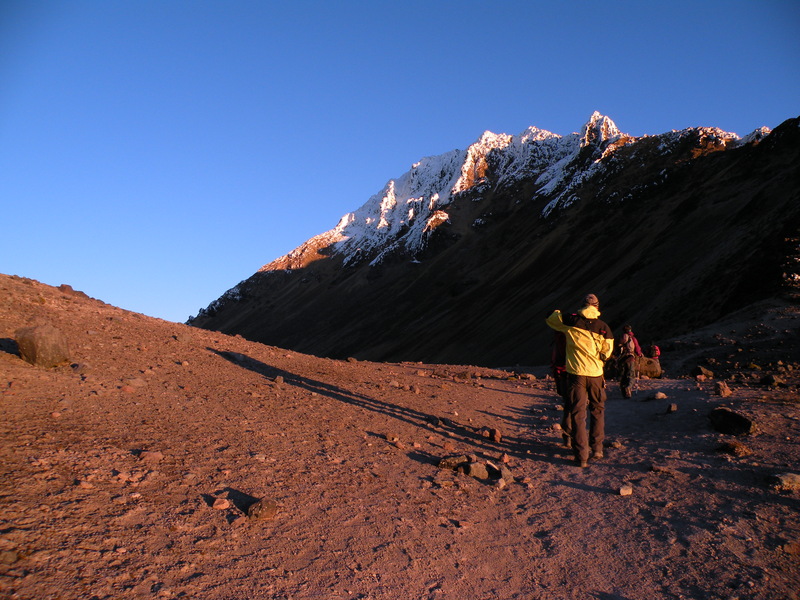 Nevertheless, we have plenty of time for hiking up to the mountain hut “Nuevos Horizontes”. By the way, this is the only operating serviced mountain hut in Ecuador at the moment. Most of the others are still being renovated (like the ones on Chimborazo, Cotopaxi & Cayambe). As a result of an easy pace, the hike up to the hut took us 3 hours. We arrived in the early afternoon, drank some tea, had a small snack and spent some nice hours in the mountain hut. The dinner was delicious and in order to have enough energy for the summit we went to bed early, after having enjoyed unbelievable & beautiful views of the Ilinizas in the CLEAR FULLMOON NIGHT which we had. The next day started as beautiful as the previous one ended. 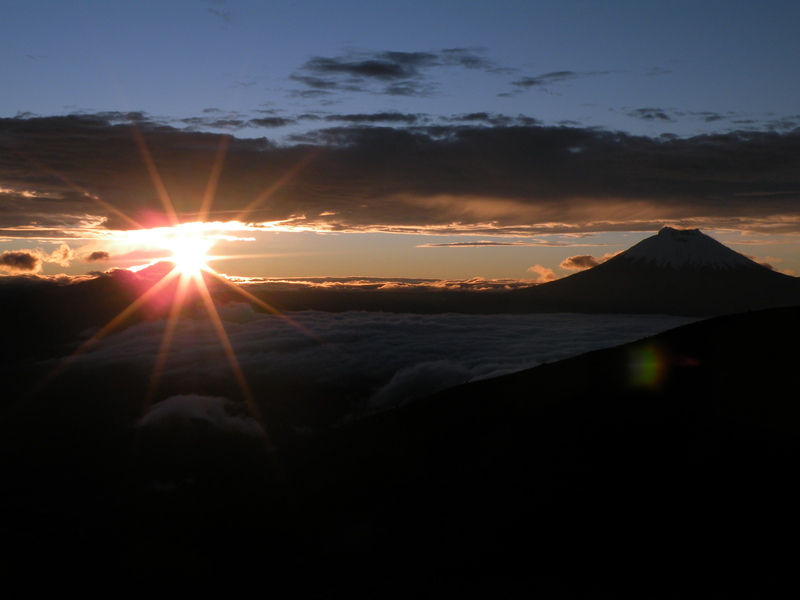 Shortly after 6 a.m. we admired a marvellous sunrise over Antisana and Cotopaxi before we began our hike to the summit. Snow and wind did their jobs during the last weeks and dressed the way up in a beautiful white robe. The sculptures seemed to be as soft as goose down and shimmered in the sun. 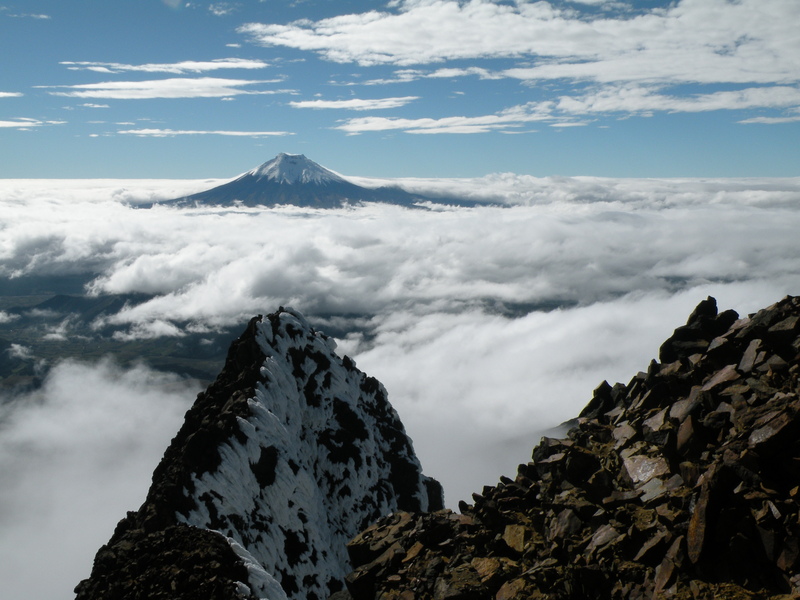 It was a clear day and we enjoyed the view of maestoso Cotopaxi just vis-á-vis. After approximately 2 hours and 15 minutes we arrived at the top of Iliniza Norte (5.126 m). Because of the breath taking views and the perfect climate we enjoyed having reached the summit. 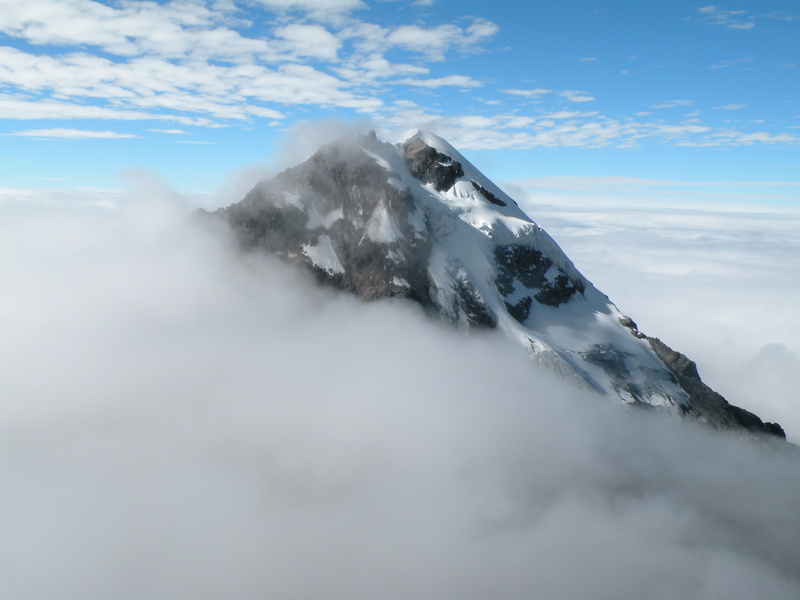 Even nearby Iliniza Sur was visible all the way up and started to hide behind the clouds, while we were enjoying some minutes on the summit. 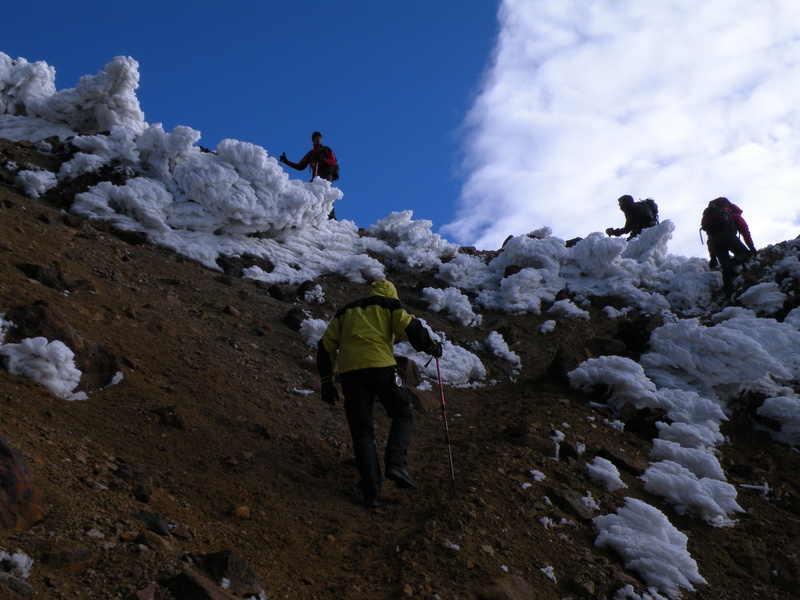 Moving in the high mountains it’s not done with reaching the summit, also the descent requires a lot of energy and concentration, especially when facing difficult parts as for example the so called “Paso de la Muerte” – the step of death. Happy about having reached the summit on such a beautiful day we hiked down carefully and take only the best memories with us. It was marvellous!!! !